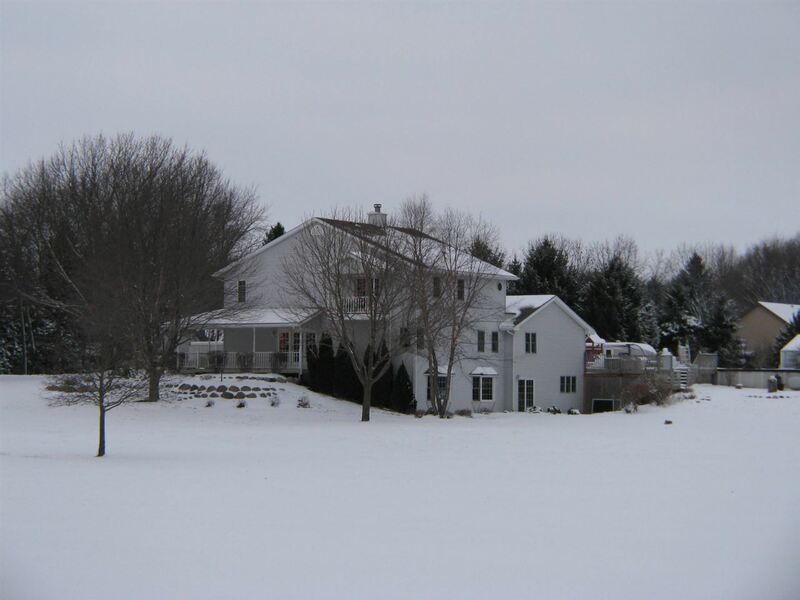 Incredibly spacious 6 bedroom, 5 bathroom home situated on 5 acres in the Byron School District. This home offers ample outside storage as well with 2 large outbuildings and a 4 car garage (2 attached/2 detached). Newly updated furnace, hot water heater, refrigerator, patio doors (3), french doors (1), and updated flooring in the kitchen and bathrooms as well. You will love looking out the wrap around porch off of the living room with high ceilings. Second master bedroom has a walk out deck that goes to the above ground pool. The large kitchen has granite counter-tops, stainless steel appliances that stay and a pantry that can be converted back to a first floor laundry if you choose. The walkout lower level is a dream in itself with a large family room/rec area which includes the pool table, 5th bedroom and a full bathroom as well as more storage areas. This home has 2 water heaters (1 gas and 1 electric), Ogle County taxes and laundry hook up also in the walk out level. Dream home!